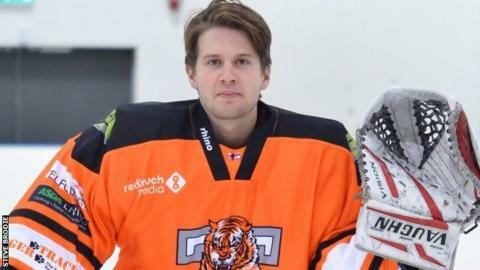 Telford Tigers have completed the signing of former Great Britain Under-20 netminder Thomas Murdy. Murdy spent three months on loan with the Premier League club at the end of last season. The 23-year-old told the club website: "It was an easy decision to make, as soon as I heard I was wanted back at the Tigers, I said yes. "From when I joined the club halfway through the season, I have felt really welcome." Murdy, part of Coventry Blaze's 2010 Elite League-winning team, has also previously played for Swindon Wildcats and Peterborough Phantoms. His arrival follows the recent signings of defencemen Rupert Quiney and Sam Zajac.